Back in 2015 a group of fun-loving folks in New York City organized what they called “The TOT Crawl.” Ever heard of it? This was a conscious, deliberate effort at moving throughout a community spending the evening eating nothing but tater tots. Not kidding. The philosophy behind the event is that with all the hoopla pizza and hot dogs get, tater tots have been flying under the radar for years, and it’s time to give them their due. So this group did just that. Now if you’re from that neck of the woods, you might be interested to know that these tater tot afficianondos found the best tots at Pork Slope (247 5th Ave, Brooklyn), Wilma Jean’s (34 Smith St, Brooklyn), Melt Shop (111 Fulton St, New York City), Whiskey Tavern (79 Baxter St, New York City), Crif Dogs (113 St Marks Pl, New York City), The Redhead (349 E 13th St, New York City), Big Daddy’s Gramercy Park (239 Park Ave S, New York City), The Gander (15 W 18th St, New York City), P.J. 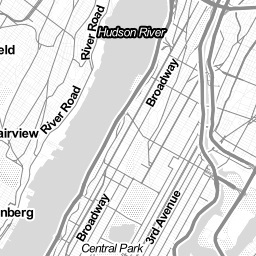 Clarke’s (915 3rd Ave, New York City), The Stumble Inn (1454 2nd Ave, New York City), and Sek’end Sun (32-11 Broadway, Queens). Not kidding again. These folks went to every one of these establishments in one evening (and likely into the early morning) tracking down superb tots. This just goes to show how popular this innovative side dish has become. But if you’re not inclined to go on your own “TOT Crawl,” you can go online and find dozens and dozens of recipes for using tater tots. So why not stay home and cook up a batch and do something fun with them? 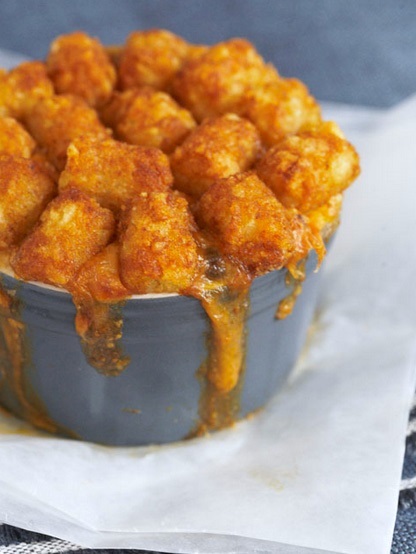 For instance, how about the Tater Tot Hot Dish? It’s a proud creation of the Midwest, and is a type of casserole traditionally made with canned cream soup. Shown in the picture is an iteration of it: a mix of chili, corn and black beans topped with a gorgeous crown of cheese and tater tots. This dish is a consistent crowd-pleaser and shows up on our table often. 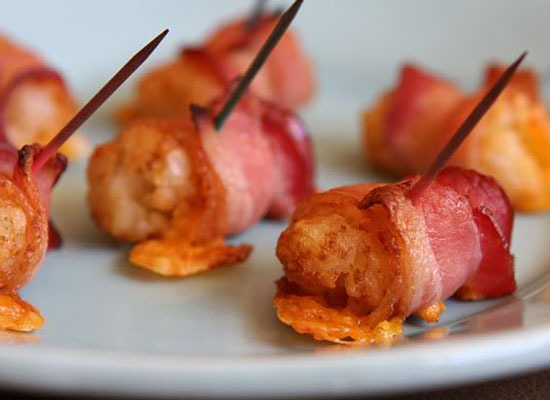 And of course, there’s always the bacon-wrapped tater tots for a quick and hearty side dish or appetizer. But have you ever tried tater tot breakfast nachos? All you need for this easy dish is 1 bag tater tots, eggs (as many as desired), 1 cup of shredded Cheddar and 1 cup of shredded Mozzarella cheeses, a little sliced jalapeno (1 would be plenty), some sliced green onions (to your taste), some chopped cilantro (again, to your taste), a little hot sauce if you like a kick, and sour cream. Just bake tots according to package directions. Fry some eggs while tots are baking—sunny side up—and set them aside. When tots are done, remove from the oven and top with cheese, jalapeños and green onions. Bake until the cheese is melty and delicious. 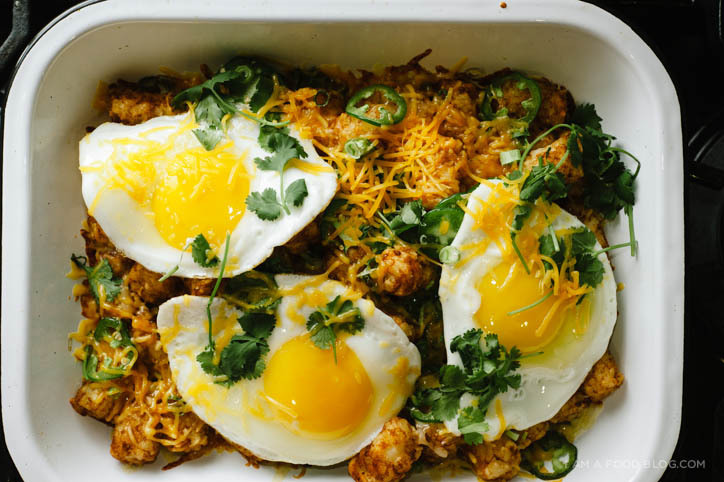 Remove from the oven and top with sunny side up eggs, cilantro, hot sauce and sour cream. Enjoy immediately. This has been a really popular brunch dish at our neighborhood gatherings. Then there’s the Loaded and Baked Tater Tot Dip. This is scrumptious atop whole grain crackers. Preheat oven to 375°F and spray a 9-inch pie dish or similar oven-safe baking dish with cooking spray; set aside. Slice thawed tater tots in half or place a large pile on cutting board and roughly chop them; retain some size and texture and don't chop them too small. Transfer tater tots to a large mixing bowl. Add the meatballs, sour cream, add 1 cup cheese, seasoning blend, salt, pepper, and stir to combine. Transfer mixture to prepared baking dish, smoothing the top lightly with a spatula. Top with remaining 1 cup cheese. Bake for 30 to 35 minutes, or until top is bubbly and golden browned. 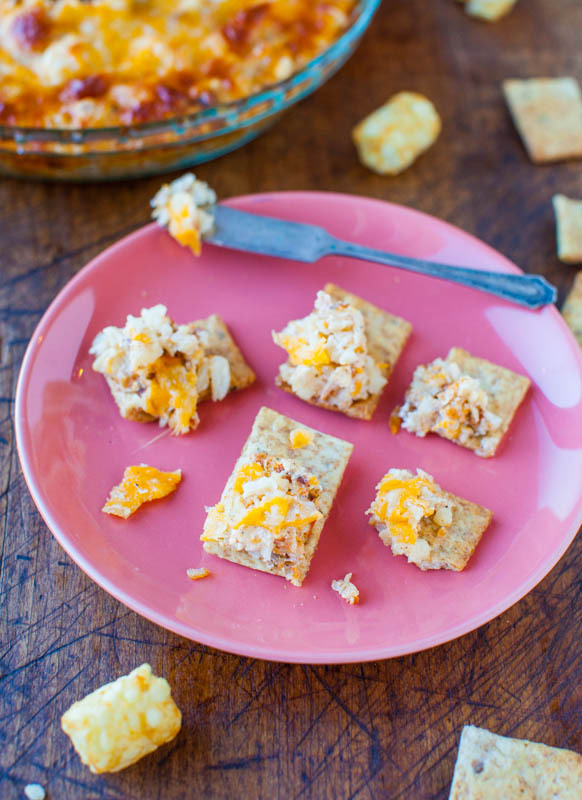 Serve immediately with crackers, bread, pita chips or pita bread, tortilla chips, dip tater tots into it, or just eat it with a spoon. Store leftover dip in an airtight container and refrigerate for up to 3 days. Eat leftovers taco casserole-style by setting a piece on top of a mound of crackers or chips and microwaving for about 1 minute. 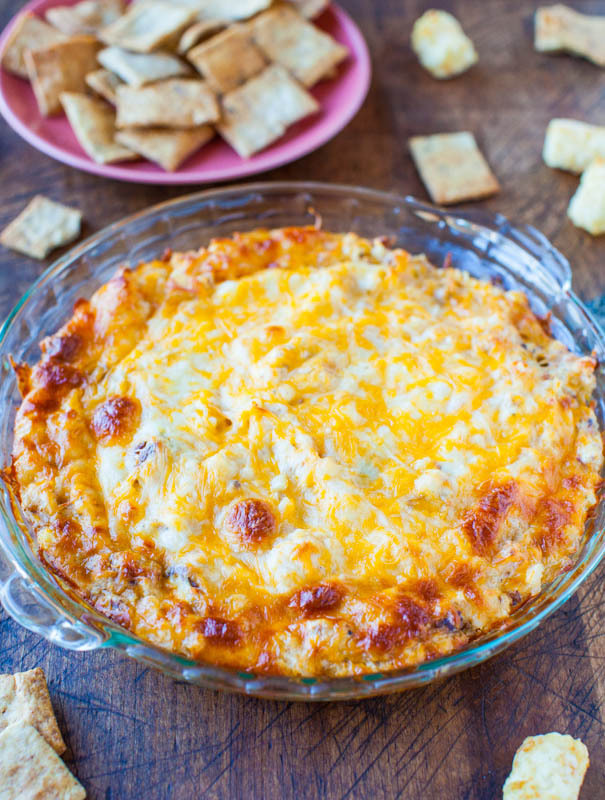 Dip can also be made fresh and served like a casserole. Now back to the New York TOT Crawl. What if you’re not interested in jazzing them up according to the above-mentioned ideas, but just want to eat them plain, like the TOT Crawl organizers set out to do? 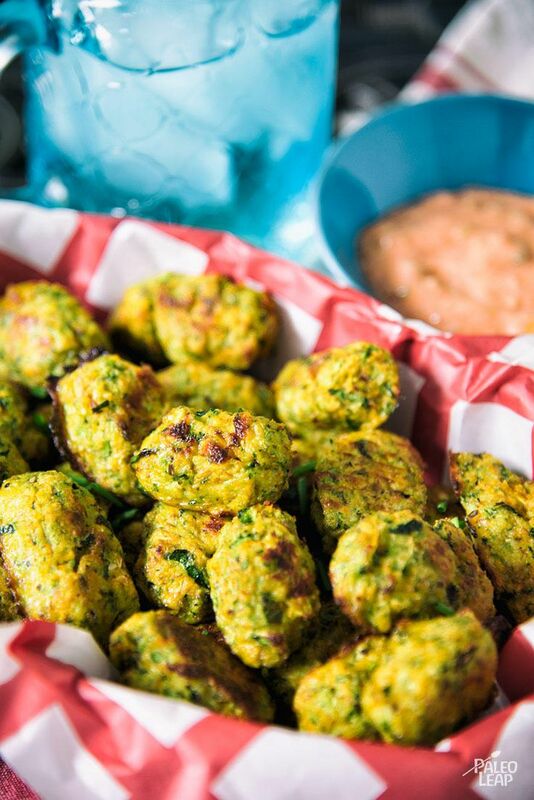 Here again, there are dozens of recipes for them online, but here’s a recipe for homemade veggie tots that you may not be aware of. Give this a try sometime next week, and meanwhile, here’s to the TOT Crawl folks that’ve shed some well-deserved light on this humble side dish! Preheat oven to 400°F. Coat a baking sheet with cooking spray and set aside. Steam vegetables according to package directions. Chop finely, using a potato masher or pulsing in a food processor. In a bowl, mix vegetables with egg, onion, cheese, panko, Italian breadcrumbs, parsley, salt, and pepper. Using your hands, make tots using1 tablespoon mixture for each. Place on prepared pan. Bake 18 to 24 minutes, turning halfway through, until golden brown and crispy. Makes 20 tots. TIP: It helps to rinse your hands after forming every few tots to keep the mixture from sticking to your hands.